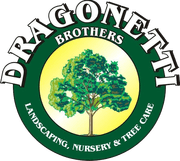 Dragonetti Brothers - Over 40 Years of Landscaping Experience! Dragonetti Brothers Landscaping is a family owned business for over 40 years. We are the one source solution for NYC landscaping services. With experience in residential, commercial and government jobs, Dragonetti provides all your landscaping needs. Our team performs weekly maintenance and complete landscape renovations for a wide range of clients. With our competitive pricing and outstanding services, Dragonetti aims to provide you with the best personal service and care. Our contractors are actively engaged in interior/exterior landscape, restoration-alteration, and modernization work. No job is too big or small. We place an emphasis on quality workmanship, with little to no interference to our customers daily routines. We are most eager to work as a team in coordination with any of your projects. Our interest is to create an efficient and economic, along with top quality landscaping to produce a repeat client. References available upon request. Landscaping Design and Construction: For both residential and commercial customers. We will work with you to create the perfect landscape arrangement for your property and install it quickly and efficiently. Landscape Maintenance: We specialize in commercial landscape maintenance, making sure the exterior face you present to the world looks great day after day, week after week, year after year. Plant Design and Installation: The most beautiful elements of a perfect landscape often come in the form of flowers and plants. We have access to a gorgeous array of flora and know just how to position it and install it to make your landscape come alive. Tree Planting and Removal: The wrong tree growing the wrong way on your front lawn or backyard is not only unattractive, but also potentially dangerous. We have the tools and talent to get rid of even very large trees with minimal effect on the rest of your property. We can also add new trees to beautify your environment. We are happy to perform related services like stump grinding and tree or hedge trimming. Landscape Lighting, Landscape Irrigation, Snow Removal and More: If there’s a landscape service you need, just call us up and ask — we can almost certainly accommodate you.